1. 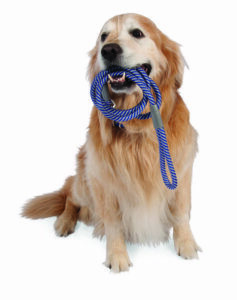 Choose the right leash: There are several types of leashes on the market including flexi-leads, leather, chain, and nylon. The key to leash training a dog is not the material that it is made from but the length. While training you should use a short leash as this gives you the ability to safely and effectively correct your dog on your walk. It also prevents the dog from pulling away from you. 2. Where you walk matters: DO NOT walk behind your dog as this gives them the impression that they are in control and the “alpha”. While training you should walk in front of your dog. Your dog’s shoulders should never be in front of your legs. 3. Don’t rush it: Take your time on walks. The more you work with your dog and correct the undesired behaviors the better your dog will act the next walking trip. Take long walks frequently so that your dog can solidify your expectations of him while walking. 4. Give rewards: Dogs live for praise and validation of a job well done. Treats are one way to reward them, but another is to give them some free time to explore their surroundings. Use a command to let them know it is okay for them to relax do their own thing for a bit. Make this break fairly brief, then with another command bring them back on task to continue with your structured walk. 6. Final Reward: After a job well done it is best to reward your dog. The most effective means is food or treat, and a praise, “good” or “nice”.